These 27 inch propane burnisher pads must be used after you've followed the proper dust mopping procedures for a floor. You'll use the aqua burnishing pad until your floor is shiny, then dust mop again to remove the resulting dust. Once a pad becomes lodged full of debris, you'll want to either flip the pad over, rinse it out, or swap out the old pad for a new one. This aqua pad is used to burnish floor finish to a high gloss with our propane buffers. Recommended for use on soft to medium finishes. Each case comes with five 1" thick pads that are suited perfectly for frequent burnishing. 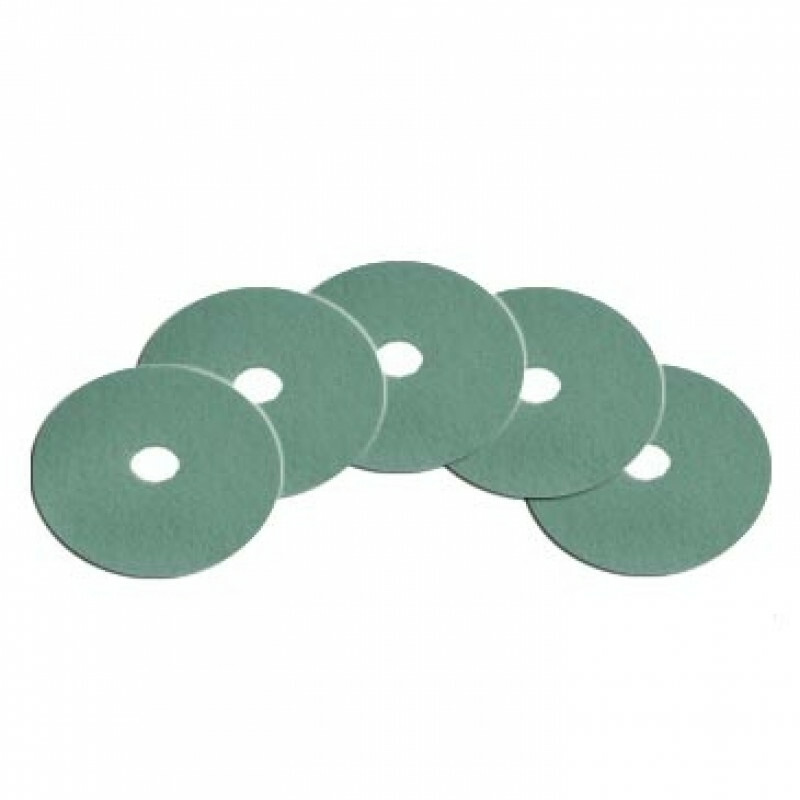 For even more floor polishing options, please take a look at our complete line of 27" burnisher pads, which can be found in our high speed polishing pads department. Customers who were interested in the 27" Aqua High Speed Propane Floor Burnishing Pads - Case of 5 were also interested in the following items. Do exactly what their designed to do, use them everyday! This is a review for the 27" Aqua High Speed Propane Floor Burnishing Pads - Case of 5.